For us, summer has been packed with family outings, traveling to see friends, and entertaining guests here in Austin. That means we’ve been partying like animals and eating like pigs (the tastiest animal). So it’s time to get back on track and start eating healthy again, which means lean meats and whole grains. 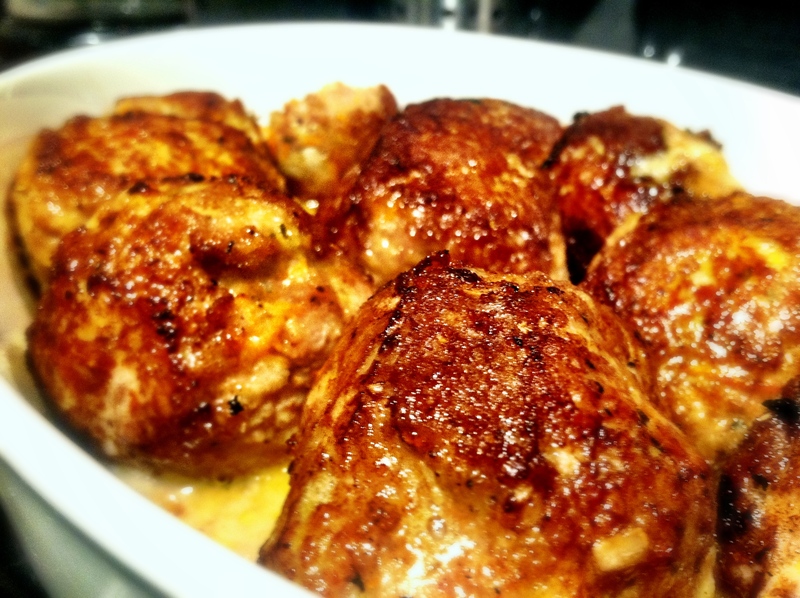 If you are doing the same, or just like to always eat healthy, try out this recipe that tastes delicious but doesn’t leave you feeling like a whale at the beach. Prep your area first by getting out a sheet of parchment paper and an oven safe dish or walled cookie sheet. Grease will pour off into your oven if you use a flat cookie sheet! In a large bowl, mix all the ingredients except the olive oil and mozzarella. Pack the mixture into golf ball sized balls, or about the size of your middle finger touching your thumb, and set them on the parchment paper. At this point, you can cover and refrigerate while you make the sauce. 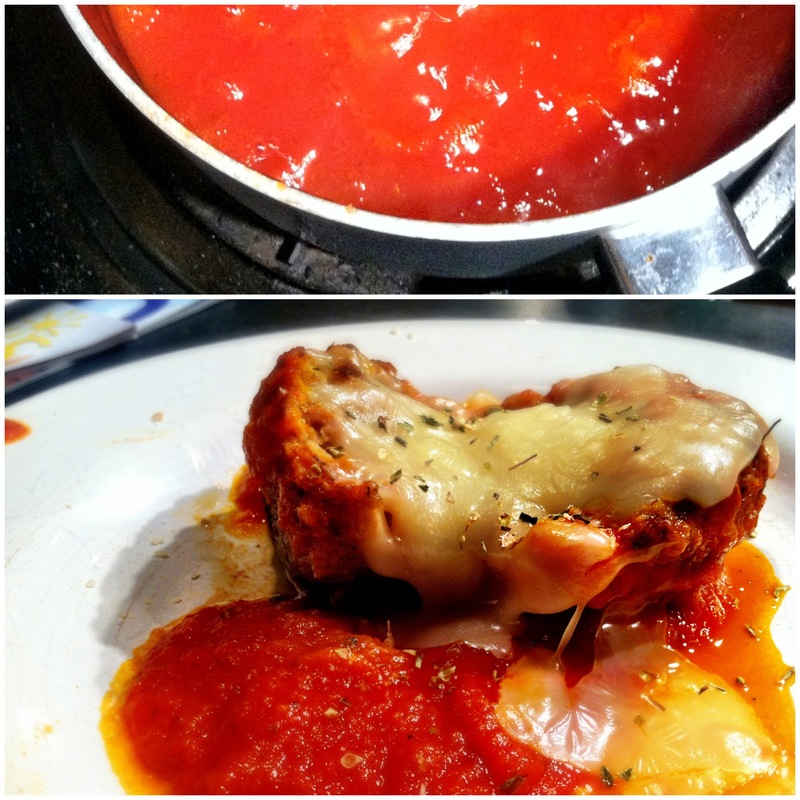 If using canned sauce go straight to cooking. Put the olive oil in a skillet and bring it to high heat to get a good sear. Put three meatballs in the pan, rolling over after about 45 seconds. 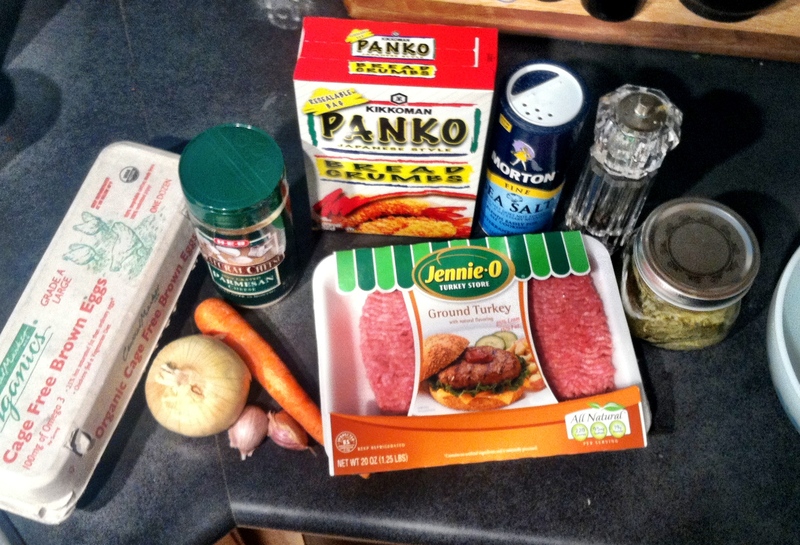 Remove and put directly into oven dish. 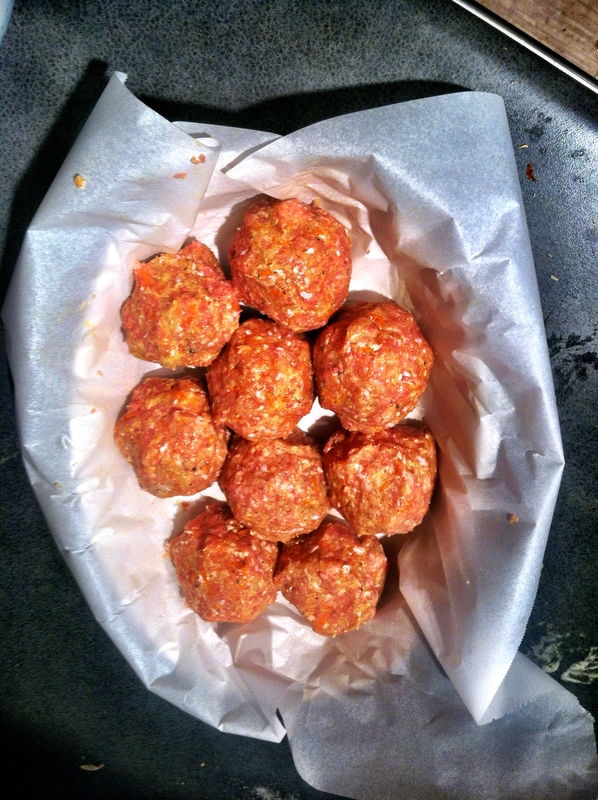 Once all the meatballs are seared and in the dish, move it into the oven and bake it for 18 minutes. Keep the oven on. 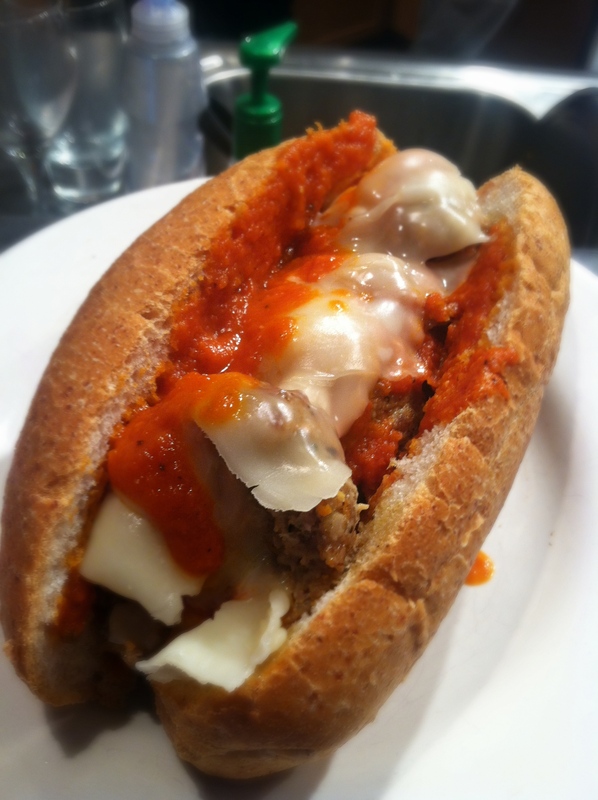 Prepare a wheat hoagie roll with meatballs cut in half (so they don’t roll), sauce, and mozzarella cheese. Place it in the oven open-faced for 1 minute then take it out and enjoy! Sprinkle oregano on top for even more flavor. In a saucepan, cook down the onion and garlic until soft, about 3 or 4 minutes. Add the rest of the ingredients into the saucepan and let it simmer very low for at least 45 minutes, stirring occasionally. Next, remove the bay leaf and put about half of the mixture into a food processor. Blend until smooth and put in a new bowl. Repeat with 2nd half of mixture.